This richly light brown stained wooden tea box is made of solid poplar wood, has six compartments and removable dividers. 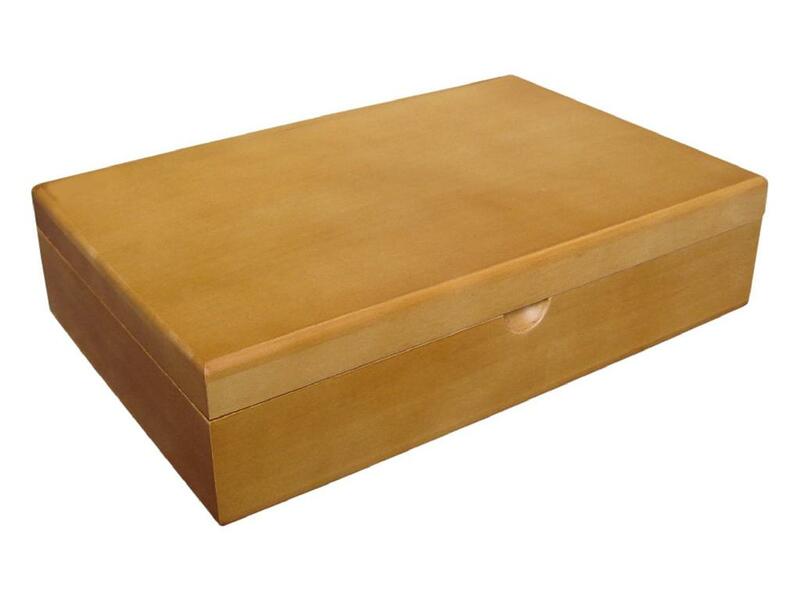 Designed with a single brass 150 degree hinge, this unique wooden tea packaging box is a customer favorite. 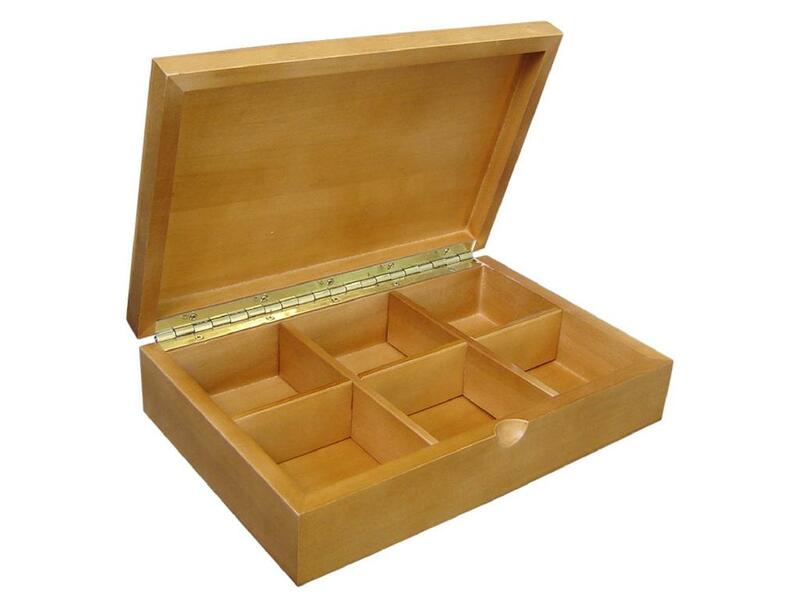 Dimensions: 280x183x68mm and compartment size 78x76mm. 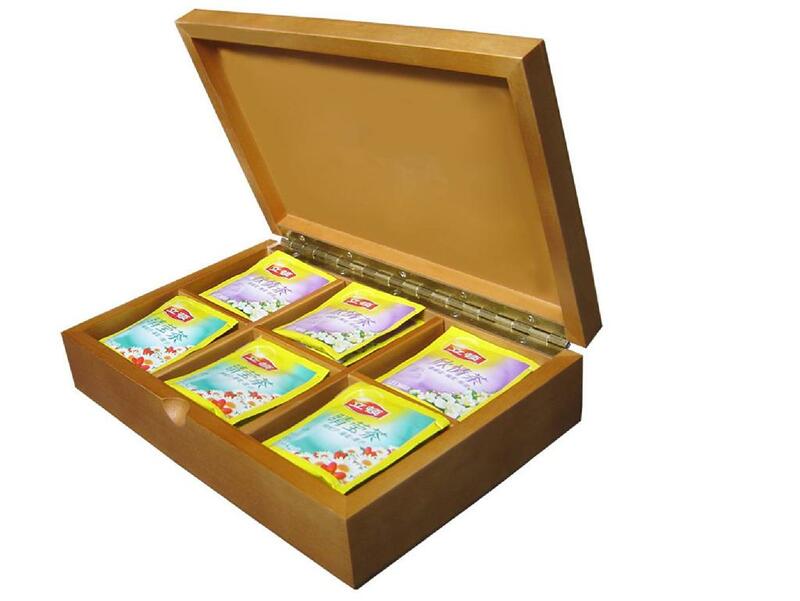 We take great pride in manufacturing the highest quality, custom made wooden tea bags boxes and tea chests for each and every customer. We have the skilled workforce and expertise required to meet, and exceed any and all of your wooden box needs. Contact us now for a quote today!